All organisations have a duty to keep their employees safe, and most organisations sink considerable amounts of money and time in minimising risk. Yet things still go wrong. Why? And can a psychological approach ensure that safety becomes truly integral to how business is done? Do you work with dangerous chemicals, extremely high or low temperatures, toxic substances, radiation, travel at speed or height, or other clear risks? If so, safety will have been a hot topic for many years now. In industries where there are inherent hazards to the public, employees and the environment there are strict regulations to ensure that organisations are prioritising health and safety. Such organisations invest significant budget and resources in implementing and developing approaches to minimising risk. 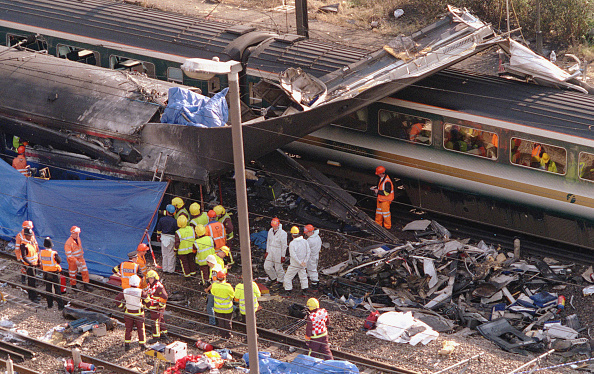 Psychological research has played an important role here, understanding how significant disasters – such as Chernobyl, Challenger, Ladbroke Grove – have occurred. Jim Reason’s work on understanding human error has been influential. It is generally accepted that taking steps to engineer fail-safe mechanisms, to design user-friendly (and tolerant) interfaces, to introduce checklists and processes to protect critical points, and to educate operators and leaders around behaviours (for example using human performance tools) are all helpful approaches. But something is still missing. Things continue to go wrong – for example, the Smiler ride at Alton Towers in 2015; the Croydon tram disaster in 2016. Sometimes they go wrong repeatedly – according to General Medical Council figures from 2012, one in 20 prescriptions from GPs has an error. This is despite the fact that most organisations would say that they prioritise safety and aspire to be completely accident-free. However, an approach that measures success on the basis of zero accidents turns mistakes (if they are admitted to) into something to control rather than something to learn from. Safety measures can become rigidly applied and have the unintended consequence of demotivating and disengaging people, as they signal a lack of trust and reduce autonomy. And safety is also frequently treated separately within organisations, as a department responsible for ensuring compliance, rather than as an integral way that business is done. Most organisations recognise that culture is important in safety, and that our social environment influences behaviour. But there is still limited attention paid to what else might influence someone’s behaviour (and how). There is also still a tendency in event investigations (which are conducted when something goes wrong) to adopt a mechanistic model – to treat people as a logical, predictable and controllable part of the system. This approach limits learning and stops us pushing safety improvements to the next level. Let me give an example. When I worked within the nuclear industry in 2003, the most common identified root cause for things going wrong was that individuals didn’t ‘self-check’ at the point of work. The event investigations had explored all angles and concluded that the reason that a mistake was made was that someone didn’t pay attention and/or correctly process that information to realise that they needed to take a different course of action. The recommendation that followed from those investigations was, therefore, that people needed to apply self-checking – a perfectly logical conclusion but not one that prevented future, similar mistakes being made. I conducted some research that established a couple of things. First, in these types of situations, the individuals were generally operating on ‘automatic pilot’, and hence were not in the right psychological state to apply self-checking. Second, there were a number of organisational factors that seemed to influence how likely they were to be in that psychological state of operating sub-consciously, including their supervisor’s expectations and actions regarding safety and how ‘valued’ the individual perceived their job to be. In other words, there were organisational influences that were affecting their emotional and cognitive state and hence behaviour. The safety critical world is not the only area in which a logical and mechanistic model has dominated. Richard Thaler, in his 2016 book Misbehaving, challenged the standard economic assumption that people operate in a rational way: ‘I believe that for the last 50 or 60 years, economists have devoted themselves to studying fictional creatures… they might as well be studying unicorns.’ But if we are trying to improve performance of any system, an approach that doesn’t understand and work with how people are in reality will always be deeply flawed. We need a far greater focus on our core human nature – how we feel psychologically and physically. This holds the key to creating better and safer organisations. How we feel affects our perception, our ability to process information and make decisions, our relationships and our choice of behaviour, which all ultimately affect safety (and performance) outcomes. There is certainly evidence for this. For example, in 2002 Michael West and colleagues explored the relationship between HR practices such as the quality of the appraisal process, training and team working within NHS Trusts and patient mortality. They found strong associations between the two, with improvement in staff appraisals in particular being linked to a reduced number of patient deaths. And a 2016 Gallup meta-analysis, which examined more than 1.8 million employees in 230 organisations, across 49 industries and in 73 countries, found that business units with engagement scores in the top quartile of their employee engagement database had 70 per cent fewer safety incidents compared with bottom-quartile units. This should be no surprise to readers of The Psychologist. We are strongly influenced by how we feel – the emotional part of our brain exerts a strong and often immediate influence on our behaviour, frequently without our conscious awareness (as regularly exploited by advertisers). And how we feel is affected by both our physical and psychological wellbeing, which can vary from day to day; and people show variation in their baseline states as well. Psychological wellbeing can affect our physical health (if we are stressed or depressed, we get physical symptoms) as much as our physical health can affect our psychological wellbeing (if we are physically ill, it affects our ability to process information). And both of these affect behavior, which can then have safety implications. For example, sleep is a physical and a psychological need; if it’s compromised, that can significantly increase the chances of people making mistakes and having accidents, as well as having a whole host of other negative impacts (e.g. 2016 figures from the AAA Foundation for Traffic Safety show that missing just a couple of hours sleep doubles your risk of a car accident). So, what should organisations do? It is time to approach health and safety from a different angle, one that prioritises and invests in creating healthy environments that will then keep us safe. Understanding psychological health and how we create psychological safety – the environment that helps people to be feeling and thinking at their best – will enable organisations to take learning far deeper than the current focus, which so often struggles to get beyond physical safety. This is an approach that brings together health and safety – two words that are frequently joined in our language but often disconnected in practice (beyond health and safety professionals). Investing in what helps us to flourish physically and psychologically also helps us to be safe. Of course, there’s another welcome by-product in the form of improved business performance. This is nicely supported by 2015 research conducted by Google to understand ‘what makes our teams effective?’. Their data analysis found that psychological safety was by far the most important factor in creating stand-out teams. There’s no doubt a cultural shift is required here. It’s preventative rather than curative. We tend to have a reactive approach to health in the Western world – we seek medical help when we are ill. Skewing the investment to staying well makes more sense, and indeed there is more focus on this in Eastern cultures. Murphy (1988) talks in terms of three levels of stress management interventions: from primary (which focuses on preventative measures) to tertiary (which is reactive). It is easiest to provide support at the tertiary level, but it is equally, if not more, important to focus on the primary level. What would a focus on the psychological environment in your organisation actually look like? Applied psychologists can help to create an environment of high trust, respect and authenticity to improve health, safety and performance. Leadership behaviours and communication styles should be a particular focus. We need to move beyond task-based/credibility-based trust towards vulnerability-based trust relationships, where individuals and teams feel safe enough to risk saying what they really think and feel. Expressing those ideas can lead to breakthroughs in improvement and innovation. An organisation that is oriented around a ‘growth’ rather than a ‘fixed’ mindset switches the focus away from blame and towards what can be learnt in every situation. David Rock’s work on the triggers for our brains’ threat or reward response describes five particular qualities that are important for organisations in maintaining a psychologically safe environment. Considering how Status, Certainty, Autonomy, Relatedness and Fairness play out in your organisation can provide a starting point for change. Another approach that relates strongly to this concept of creating environments where people’s brains are not feeling under threat is set out in Nancy Kline’s Thinking Environments. Having recently trained as a Thinking Environment facilitator I have seen at first hand how this technique creates meeting environments that feel quite different from the norm. The approach is based upon 10 deceptively simple principles that are embodied in techniques to promote a high-trust, respectful and creative culture. I’ve also been working with organisations to introduce helpful tools (such as mindfulness) that can increase people’s awareness of how they are feeling and how they can take control of their own wellbeing. Organisations must provide education and support and encourage conversations about mental health. The Heads Together organisation, amongst others, has done a fantastic job of raising the acceptability of discussing mental health, and there has started to be a real difference in this area. But as well as this focus, there also needs to be investment in the maintenance of wellbeing and in how to develop peak performance. Finally, I come back to physical health. Most of the people that I work with (a lot of technical and engineering organisations) spend most of their time ‘in their heads’ rather than in their bodies. For many of us, it is often only when we are struck down with an illness or an injury that we really pay attention to how we are physically. And yet our physical health can strongly affect how we feel emotionally and our ability to perform (something of course that sportsmen and women are very aware of). Organisations could and should use general health measures, such as Britain’s Healthiest Workplace survey. Paying attention to sleep, what we eat, and how much we exercise acknowledges the basic biological needs that we must meet in order to operate optimally. This is not a particularly new idea: I was very involved in sleep-related research 20 years ago. But at that time the focus tended to be mostly on safety-critical industries and jobs where understanding how to manage shiftwork to limit the negative effect of fatigue on performance was clearly important. Now technology has changed the way that we work and live, and this has affected our attitudes towards sleep. There is better understanding of the negative impact a lack of good sleep can have on us, physically, emotionally, cognitively and behaviorally. Vicki Culpin (author of The Business of Sleep) certainly feels that organisations should be starting to take sleep seriously as a factor affecting their bottom line. One that has done just that is Aetna – in his 2017 book Why We Sleep Matthew Walker reports that staff there are paid bonuses for getting a good night’s sleep. Simple psychological human performance tools, such as using a simple reaction-time test or mindful body-scan technique to check for fatigue, can increase focus and reduce the risk of safety incidents. It’s time to spread an understanding of health and safety more widely across organisations. By investing at the psychological level, improved physical safety (and health) and boosting the bottom line will be welcome by-products. And if we take this approach, we naturally switch focus from blame to learning, and from the individual to the system, thereby dealing with the systemic factors that impact fallible human beings (rather than unicorns!). It’s time to move from health and safety to being healthy and safe. Emily Hutchinson helps individuals and organisations to learn through her organisation, EJH Consulting. She also holds academic positions and is Associate Editor (Books) for The Psychologist. Edmundson, A. (2014). Building a psychologically safe workplace. TED talk. Kline, N. (2015). More time to think. London: Cassell. Murphy, L.R. (1988). Workplace interventions for stress reduction. In C.L. Cooper & R. Payne (Eds.) Causes, coping and consequences of stress at work (pp.301–342). Chichester: Wiley. Reason, J. (1991). Human error. Cambridge: Cambridge University Press. Rock, D. (2009, Autumn). Managing with the brain in mind. Strategy+Business. Issue 56. West, M.A., Borrill C., Dawson, J. et al. (2002). The link between the management of employees and patient mortality in acute hospitals. International Journal of Human Resource Management, 13(8), 1299–1310.